Player 5 passes ball to 4. 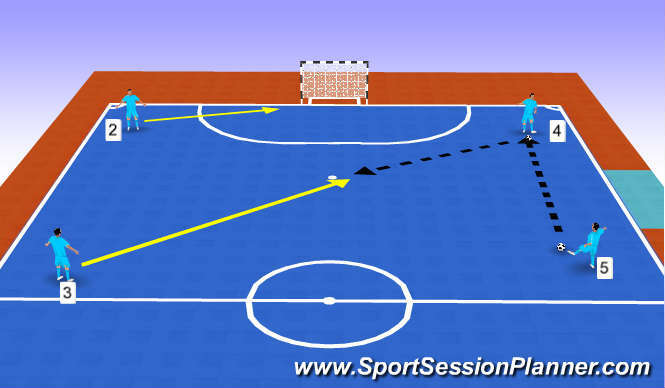 Player 3 runs in the middle to receive the ball and to take a shot or use player 2 that will run to far post to tap the ball in. Players rotate position.